Brace yourself and prepare for a unique Pokemon gaming experience brought to you by our fellow Pokemon fans. Pokemon Infinite Fusion is a special fan-made Pokemon game that features fusing of Pokemons to create a new and distinct Pokemon species through DNA Splicers. The game is based on pokemon.alexonsager.net Pokemon fusion generator. There are overall 22 801 and counting unique Pokemon sprites you can explore for fusion, the game also features fairy type and choosing a name for your new Pokemon is easy, just by accessing the menu. In the latest version of the game, players can now use the Randomized mode and Wondertrade. 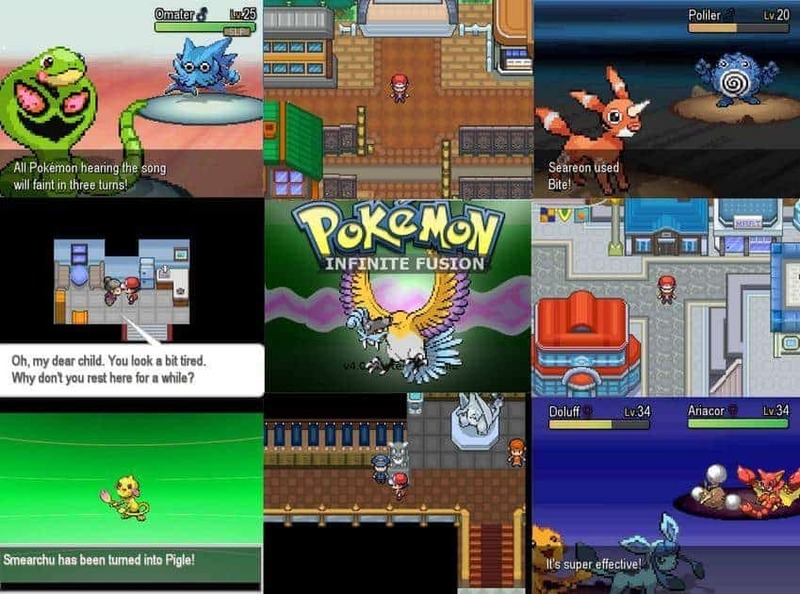 There’s still more surprising features waiting for you to uncover, grab yourself a copy of Pokemon Infinite Fusion. What’s the difference between the two versions (Red/Blue)? Both versions are the same but in the Blue version, trainers use inverse fusions while the Red version is recommended for players who has the earlier version of Pokemon Infinite Fusion. My name is Shilé 9000 and I playing at your game Pokemon Infinite Fusion. I have a BIG problem! I’m at Azalea Town Gym. After beat the arena champion I can’t leave the area because the last boy before face the champion area is at the lower right corner of the wall and he don’t want to move, he stay at that place. Please write me soon and please tell my “There is a solution at this problem”. And sorry if you don’t all understand beacause I don’t very well speak English (I’m Belgian). Hello Shilé 9000, sorry but we are not the creator of infinite fusion, you can conveniently raise your question in their subreddit. Just want you to know that I have updated the download link with the latest version of Infinite fusion and I’m sure some concerns you have are already fixed in this version, you may want to check it. will the author add new Pokemon generations to the game? 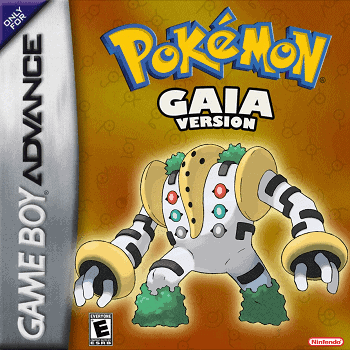 A GBA version for this game? Maybe you can ask the author for it. If i get the normal version and i was using red, will my data passover? What is the total of the pokemon here? No, it’s not. This is a RPG Maker XP game and playable only on Windows or Mac with Wine. Check the V4.0 download link below. I already have an answer to this question. Please see my previous replies. what does it mean by the blue having “reversed fusions”? Sorry there’s a typo in that statement. The correct term is inverse fusions not reversed fusions, and it means that for example a trainer has a Pikasaur in Red, the same trainer will have a Bulbachu in Blue. If you try to go onto the stairs from behind in the Pokemon Tower while Mr. Fuji is blocking you from going up, he will say his message as if you talked to him. Then you will be trapped ontop of the stairs and need to use the debugger to escape. Can I download this for Mac? Yes you can download and play this game on your Mac but with the help of Virtual Machine software such as VirtualBox, Parallels or VMWare. I hope you already know or familiar on how VirtualBox works. But just in case you didn’t know yet. You need to install a Windows OS in your VirtualBox, you can find lots of tutorials on Youtube for this. Then, in the VirtualBox with Windows OS installed, you can now download, install and play the game. Just vomitted. It’s a no then, you can’t play on a mac, that’s why you need to download a windows virtual machine in order to be able to play the game. ive downloaded the game but I cantopen the game I downloaded if you could help me that would be much appreciated. Could you make it playable for mobile or phone??? Sorry Kevin but that’s not possible. This is only playable on Windows. 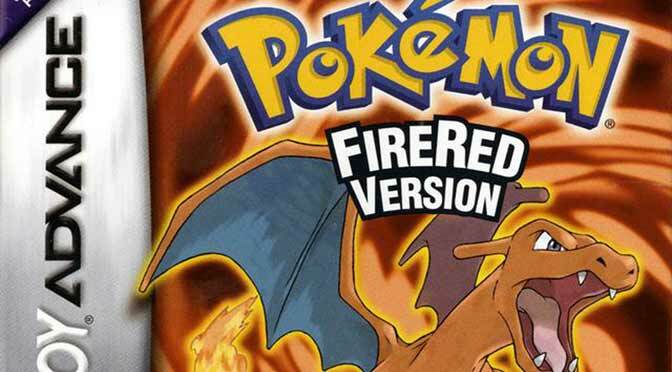 How about playing any of these Pokemon ROM Hacks? You can conveniently play this on any mobile devices. Is there a pokemon mobile fan game like this or with english because first youtubers love playing this game and since they love it I want to give it a try. Second,other fusion games are mostly spanish. You can play any Pokemon rom hacks on mobile but not fan games. Fan games like Infinite fusion is playable only on Windows. That stinks. Are you able to make a way? Sorry, there’s no way to play this on mobile devices. 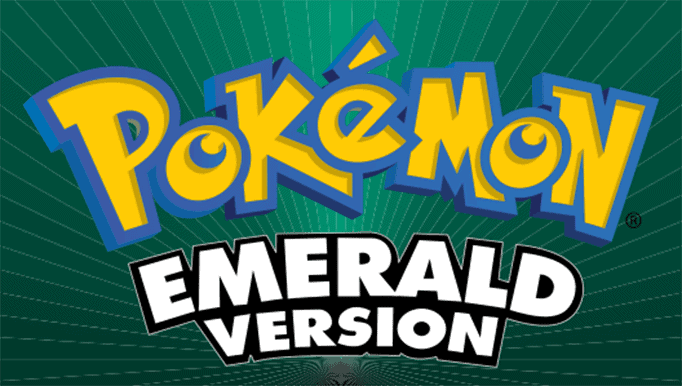 If I were you, I just play Pokemon rom hacks, there are dozens of good rom hacks out there. Yes it’s free but playable only on Windows PC. it seems to running fine on my desktop… any chance on running it on a gba emulator in the android phones? No, you can’t run this game on any mobile devices. This is for Windows PC only. hmm, I’m not sure about that since I’m not a chromebook user.